If you live in the area or are just visiting, come hang out at DuCard Vineyards for the evening for a potluck style dinner. On the first Friday of every month, we will be gathering for some good old country fun. Bring any dish whether it be finger food or your very own specialty dish. If you play an instrument, bring it with you. Our stage will be open to anyone. Wine will be available for sale. No cover. Every Thursday Courthouse Creek Cider will be doing what we do best- pairing our delicious fine cider with food, and giving back to our community. CulTerra is our philosophy. In sum, we strive to promote and interpret local culture and local land. Did you know that in Cidermaker Eric Cioffi’s “past life” he was a chef? From inception, our ciders were fermented to pair with food. Cider is wine and, as such, it is a perfect compliment to any meal! It deserves a spot on your table! Spend Thursdays with us doing just that! We are offering charcuterie and a bottle of cider for $30. We will donate 10% from each sale to a local charity. Charcuterie may include, but is not limited to: local and gourmet cheeses, cured meats, fresh fruit, dried fruit, sweet and savory desserts, olives, spiced nuts, local honey, artisan crackers and bread (GF options always available). Join us every Friday starting April 5th through October 25th for Food Truck Fridays! Every Friday, along with our Lite Fare Menu, we will have a different food truck offering their best cuisine to go along with your favorite Veramar Wines! Check our Website and/or Facebook page to see which truck will be there next! Wind down your week at the winery! April through October in 2019, 3Fires Oven will have authentic wood-fired pizza available for purchase every Friday night from 5 – 8 PM! Join us for wine and live music. Local talents, local wine, a good old time! 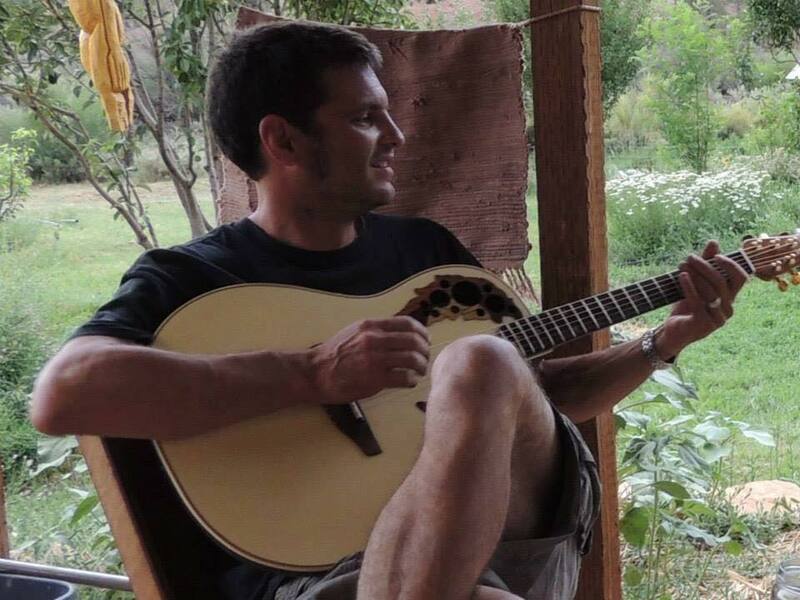 Local musicians providing live entertainment in a relaxed, laid back setting at Bogati Bodega. Enjoy a variety of musicians as they rotate playing sets of music. *Open to any musician* Feel free to come out and play on Fridays!! Enjoy this beautiful day with some wine, mountain scenery, and the unique music of The Pollocks (http://www.thepollocksmusic.com/). The Pollocks offer up their unique blend of rock and roll and well-tuned Americana, with influences of Neil Young, Dylan, the Stones, and Velvet Underground. No cover. 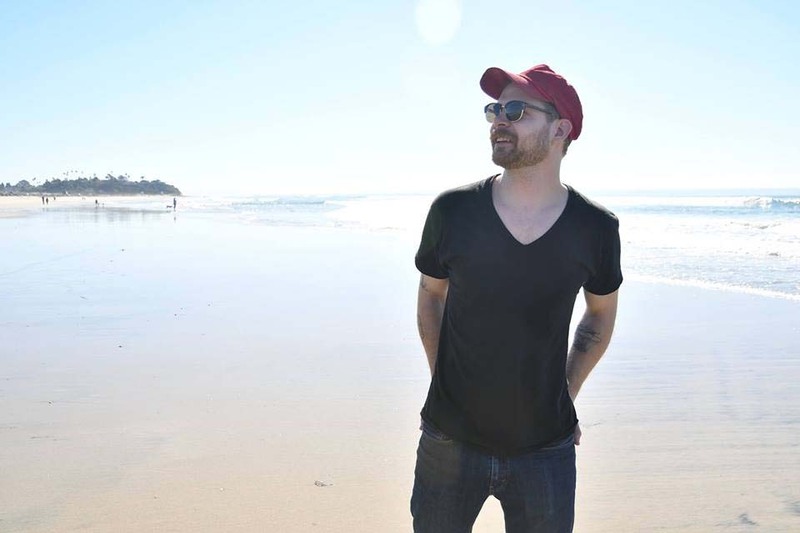 Join us for live music with Josh Lowe! Josh is a local from nearby Jeffersonton and is a member of the Dubious Brothers, but plays solo acoustic in our tasting room, regaling us with some lively tunes from oldies to 80s to now. We always enjoy his energy and love having him as a Magnolia Vineyards “regular”! Join us for one of our most exclusive events, our Nebbiolo Vertical Tasting. During this extraordinary gourmet lunch, you will sample and discuss various vintages of this coveted varietal with our winemaker, Josh Gerard. 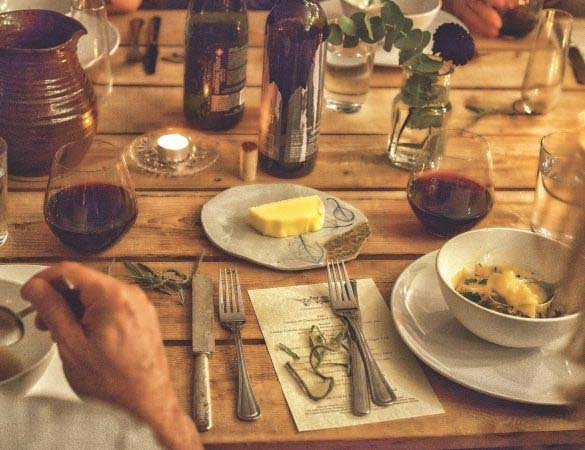 Enjoy a 3-course meal prepared by Chef Author Clark, paired with the wines. Educational, interactive, and fun, this is a reservation only event, and will sell out soon, very limited seating. Reservations are not refundable or transferable. Cellar Club Members: Discount applies to a max of 2 tickets. Popular local act Anderson Paulson Project will be in our tasting room performing a variety of classic rock and Americana. Members Mark, Mike and Melinda entertain with acoustic songs and incredible harmonies! 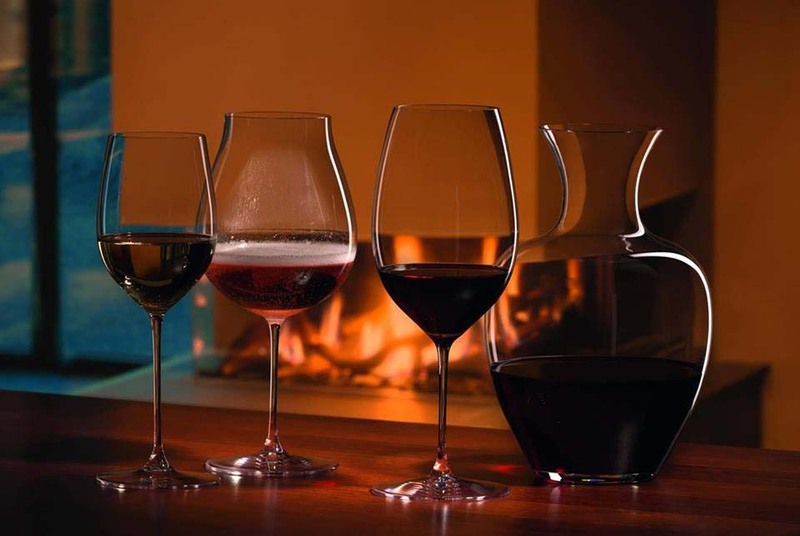 7apr2:00 pm- 4:00 pmRiedel SeminarExperience a new way to enjoy wine! Our annual Riedel Seminar is back! Join us on Sunday, April 7th from 2-4 pm for an afternoon like no other as you experience a new way to enjoy wine. Our annual Riedel Seminar is back! Join us on Sunday, April 7th from 2-4 pm for an afternoon like no other as you experience a new way to enjoy wine. During this seminar, you will learn a lot and have fun doing it! We will have a sales manager from Riedel who will lead the group through a wine tasting with varietal specific wine glasses. You will come to understand how the size and the shape of a wine glass can affect your perception of the aroma and taste of the wine. All guests will receive four glasses of wine during the class and go home with their own set of 4 Riedel wine stems, a value of $138! Trust us when we say this is one class you won’t want to skip! If you’ve attended the seminar before don’t worry, we have a slightly different kit this year, and it’s always fun to grow your Riedel collection. Call the Tasting Room (540-828-0099) by Friday, March 22nd to reserve your spot. Light hors d’oeuvres and four glasses of wine are included with the class. Join us as we welcome Lee Henke to our Scott’s Addition tasting room for an intimate show Friday, April 12 between 7:00-9:00. Always on the road, Lee Henke works tirelessly at his craft. with a even blend of contour and grit. 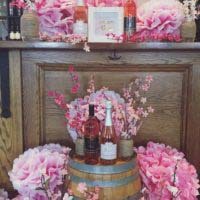 Come join us this Spring at our annual Cherry Blossom Celebration! We are hopeful that the blossoms will be in full bloom, which is one of the most picturesque times of the year here at the vineyard! 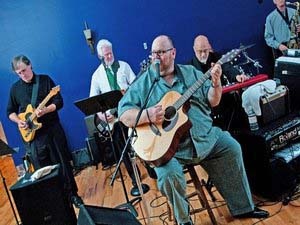 We will also have live music from 1pm-5pm, craft vendors, and of course wine tastings. We will be open all day for tastings, and there is no admission or reservation required for this fun day at the winery. Our special food vendor for the day will be 3 Fires Ovens, 100% handmade Neapolitan Pizza, wood-fired brick oven baked. 13apr11:00 am- 5:00 pmCakeapalooza 4 at Fox Meadow Winery!Celebrate Fox Meadow Winery's 13th Birthday! The Appomattox Oyster & Seafood Festival April 13th from 12pm-6pm. We will have Breweries, Distilleries, Wineries, food vendors and various craft vendors, activities for all ages! Ticket information on Facebook “@APX.OysterFest” when available. A free Bounce House for kids, and Corn Hole Contests for adults! Food available from our vendors include BBQ, hot dogs and hamburgers, as well as Virginia Oysters (James River), Maryland-style crab cakes, shrimp, fish, Po-Boys, and more! Festival favorites, Kettle Corn, Funnel Cakes, Italian Ice and other treats! 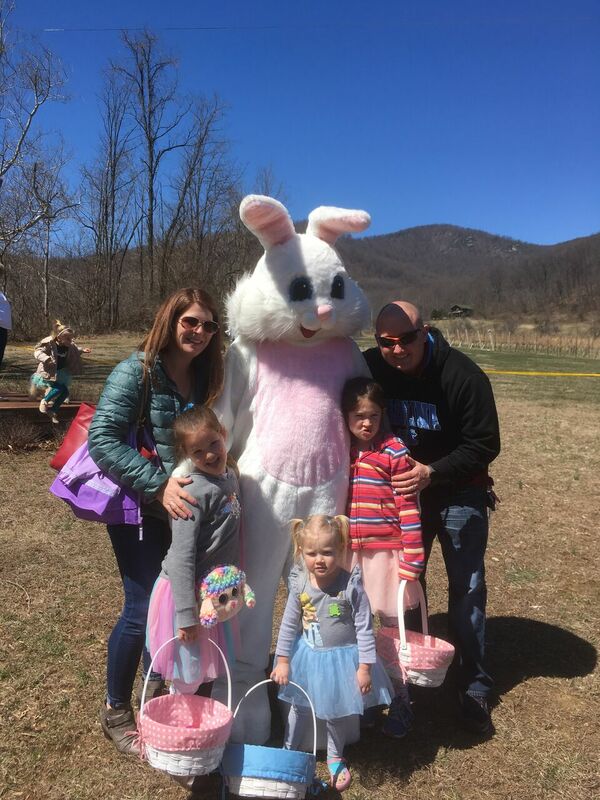 The Festival is held annually on the 2nd Saturday in April at the Appomattox County Historical Society’s “Clover Hill Village Living History Center” located at 5747 River Ridge Rd Appomattox, VA 24522. Next door to the “Our Lady of Peace” Catholic Church. This country setting with old buildings and barns, is the perfect scenery for a festival! For tickets go to https://www.eventbrite.com/e/appomattox-oyster-seafood-festival-tickets-42823914481. 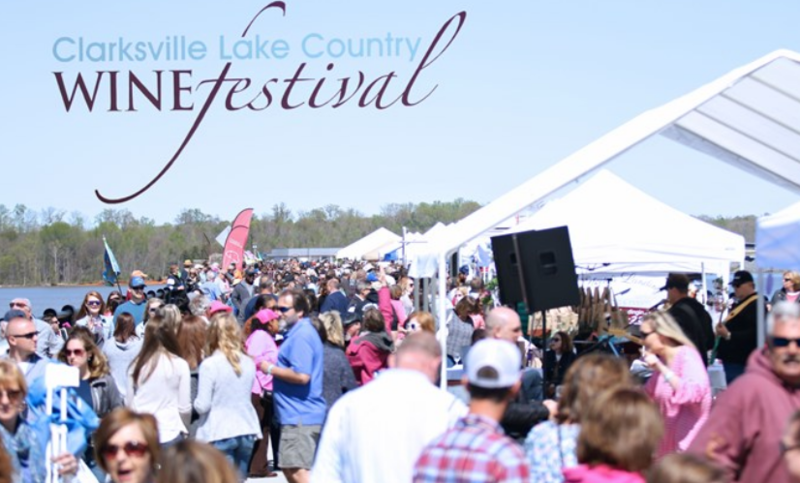 Join us on the BRIDGE for our 13 annual of the Lake Country Wine Festival in historic downtown Clarksville! We are thrilled to announce a NEW location to accommodate the growing crowds of one of the most favorable WINE FESTIVALS in our area! We have plenty of room, so we invite you to come, relax, enjoy the music, the wine, craft beer, the great food offerings as you sip your wine over the beautiful views of Buggs Island/Kerr Lake. 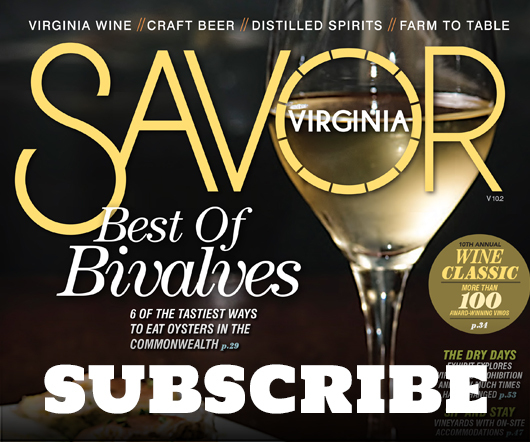 Enjoy 16 Virginia Wineries, live music, great food from local restaurants and hand selected artisans and local merchants. We will have seating available but feel free to bring your own. While enjoying Virginia’s only lakeside town, take a stroll and visit the unique one-of-a-kind downtown shops and restaurants. This is a 21 and older event, no strollers, large coolers or children beyond the gate. Advance Wine Festival tickets available online at clarksvilleva.com. *This is a rain or shine event. In case of higher than normal winds or low temperatures the event will move off of the bridge and to a alternate location TBA. Spend a fun afternoon laughing, listening to music and creating a one-of–a-kind masterpiece painted glass. This 3 hour event is just $35.00 and includes all art supplies, an awesome staff, and a lot of fun. Don’t worry! Absolutely NO art experience is necessary! Our talented instructors will walk you through every step of your creative process! This fun and festive event will also feature grab bags and giveaways, and is part of the Cherry Blossom Celebration! 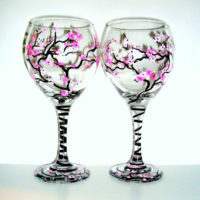 Participants will have an opportunity to choose what they would like to paint on their glassware. Join us on a beautiful Spring day for some great wine! 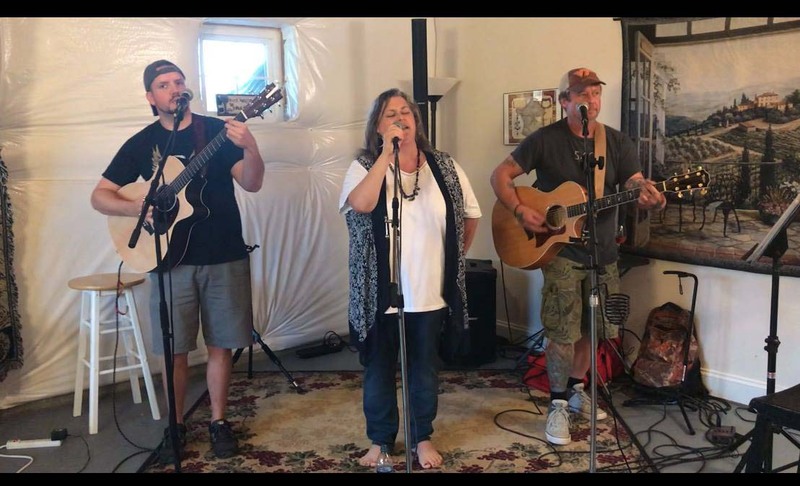 Throw in some awesome jazz, pop, Motown, and bluegrass by the Bennie Dodd Band (https://www.facebook.com/benniedodd) and some beautiful mountain and vineyard views, and you have a day made in heaven! No cover. Saturday evenings in the spring vineyard ring with good music, good conversation, and emerging grapevines. Hickory Hill Vineyard’s Sunset Saturday music series is a popular local lake tradition with our 15th season in 2019. Bring Lawn chairs or a blanket and a picnic. 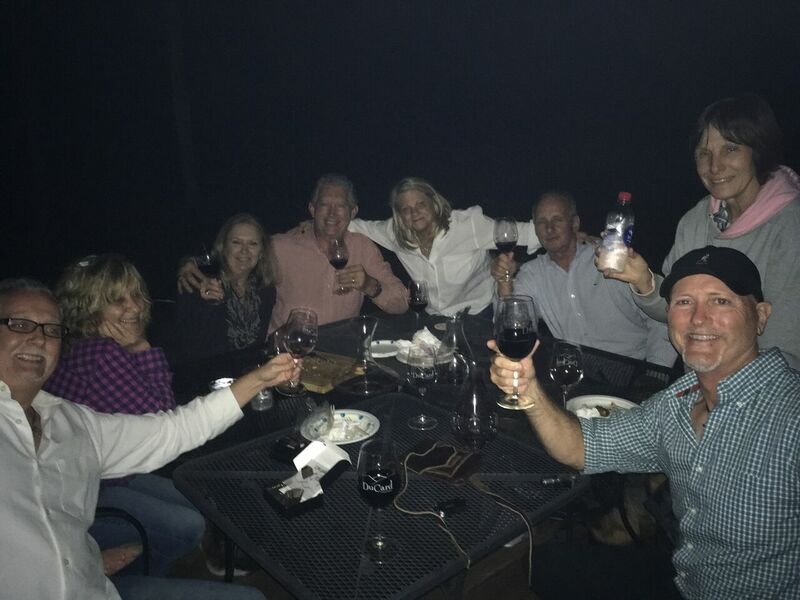 Enjoy our fine wines, grown and crafted here at Smith Mountain Lake, by the glass or bottle. Enjoy them with your fare or with one of our Picnics-in-a-Bag. Relax, sit back and enjoy the music of local artists as the sun fades and the stars slowly pop out in the sky. $10 General Admission. Kids and Designated Drivers are free. Please leave your pets at home. events section of our website. 14apr11:00 am- 5:00 pmCakeapalooza 4 at Fox Meadow Winery!Celebrate Fox Meadow Winery's 13th Birthday! Our club members got the first taste of this new wine in their February Club Release, and now it’s your turn to welcome this fresh face to our red wine line-up! Help us celebrate International Malbec Day (4/17) with the public release of our 2016 Malbec, as it makes its first appearance in our tastings. 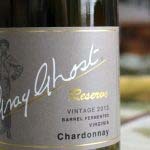 It is a clean wine with intense aromas of black cherry, baking spice and cocoa. Yum! 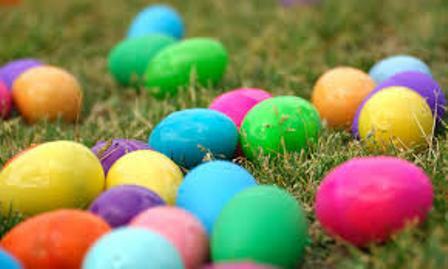 20apr12:00 pm- 5:00 pmEaster Egg Hunt & More! What would Easter be without an Easter Egg hunt? Or maybe a visit by the Easter Bunny? We’ll have that and more along with live music by 2 Wishes who play a mix of jazz, oldies and originals to entertain all ages. You’ll be sure to find treats both inside and out, but just don’t get any egg on your face! This family event is guaranteed to be fun for all ages! Easter Egg Hunt starts at 1:00pm. No cover. Calling all food, wine, and art enthusiasts! Come take part in the Blacksburg Fork and Cork festivities on Saturday April 20, 2019 as we celebrate our 11th year! 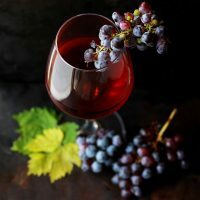 Delight yourself in wine samplings from award-winning Virginia wineries and cideries, cooking demonstrations, handmade creations by local artists, and live music. Sit back, sip, savor, and come enjoy an afternoon with us! Hunting for Easter fun? Grab your baskets and join us on April 21, 2019, at Narmada Winery for an Easter celebration for all ages! Enjoy your favorite Narmada wine as your children have a blast searching for eggs filled with all sorts of wonderful prizes. Lots of additional activities for the kids and light refreshments too! This will be a fun filled Easter celebration that you won’t want to miss! The tasting room will be open from 12PM-5PM. Kids 10 and younger can start hunting at 2PM and older kids will follow at 2:30PM. Please call 540-937-8215 or email info@narmadawinery.com to reserve your children’s places! RSVP early please! Come enjoy one of our favorite monthly events, Fourth Fridays! We always have great wine specials, delicious food to enjoy, as well as live musical entertainment! Extended hours. Come enjoy one of our favorite monthly events, Fourth Fridays! We always have great wine specials, delicious food to enjoy, as well as live musical entertainment! Extended hours. Open until 9:00 PM! 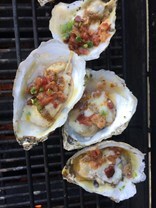 27apr12:00 pm- 4:00 pmSpring Oyster Crawl on the Chesapeake Bay Wine TrailOysters and Wine! oysters will be prepared onsite and available for purchase. All heads turn when we hear that POP telling us that a bottle of sparkling wine has been opened. We just know that a celebration is about to happen. But do we really know what goes into making a bottle of this wonderful beverage? 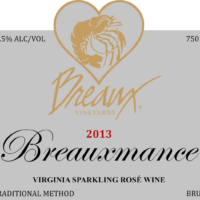 This progressive tasting gives you a chance to taste our Breauxmance sparkling rosé wine at each step of its transformation from still wine to bubbles. We will be offering an additional 5% discount on our sparkling wines for class attendees. 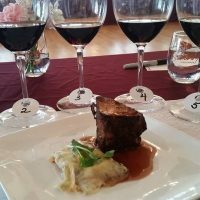 Class is $25.00/$20.00 for Cellar Club Members. Doors open at 7PM and the first act goes on at 8PM – this is a great way to get out of the house, sample the best wine in Virginia and pizza or lite fare, and laugh the night away with friends both new and old! This candlelit, black-tie optional evening features past vintages of Reserve Cabernet Sauvignons. The evening includes gourmet hors d’ oeuvres and discussion. Advance ticket purchase required. Tickets currently on sale. 28apr12:00 pm- 4:00 pmSpring Oyster Crawl on the Chesapeake Bay Wine TrailOysters and Wine!